Oregon’s most respected and comprehnesive statewide fishing guide, now in its tenth updated edition. information about where, when and how to fish the state’s more than1,200 lakes, streams, bays and saltwater. This statewide guide is updated to reflect changes in fisheries, access and management. Fishing in Oregon features more than 100 high quality river and lake maps, identify campgrounds, boat ramps and fishing access, and comprehensively details specific fishing waters county-by-county. You'll find out what species of fish are available, best seasons, favored techniques, ramps, campgrounds--all the information you'll need to fish Oregon for trout, steelhead, salmon, bass, panfish, walleye, shad, sturgeon, tuna, bottomfish, ling cod, halibut and more. Includes a priceless collection of Oregon-specific fishing tips, hookups and techniques. 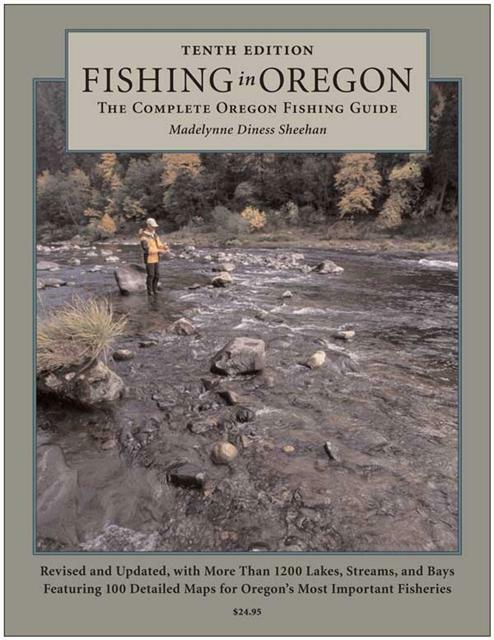 The bible for Oregon residents, a must for vacationing anglers. If you fish in Oregon you need this book.